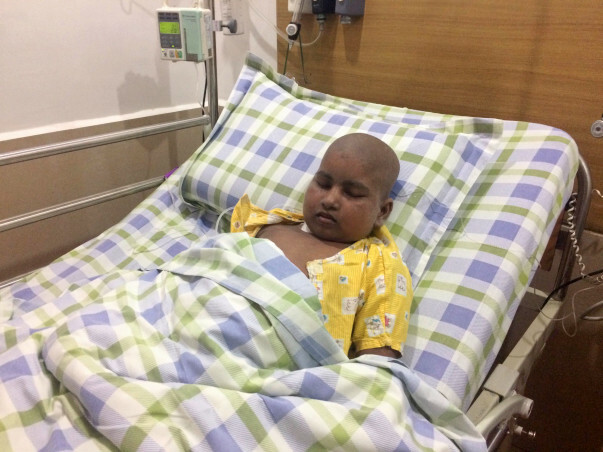 10-year-old Lathika has been fighting a life-threatening condition for the past 5 years. She got a chance to finally undergo the treatment but before she could complete it, she is fighting the second battle, unable to arrange the money. Lathika's mother's eyes flood with tears while talking about her. "My daughter looks so different now. My relatives can't recognise her now. We don't show her the mirror.This condition has almost killed her." 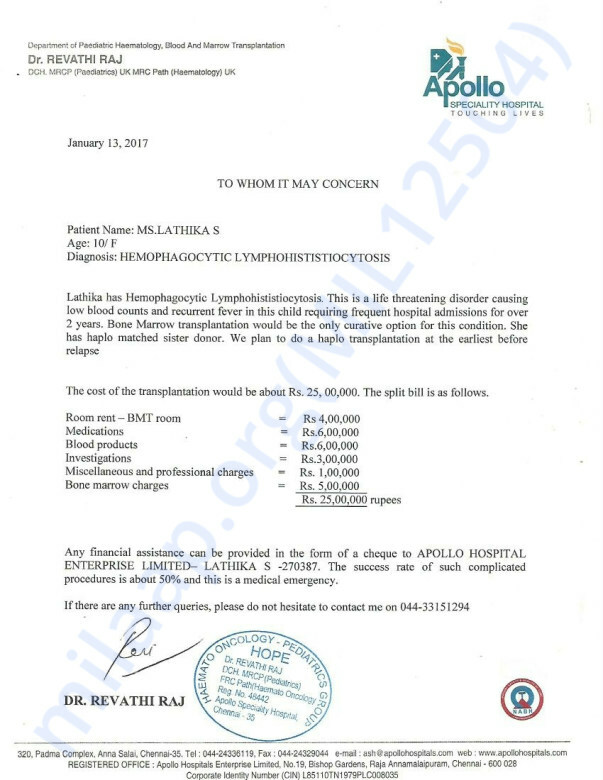 Lathika suffers from Hemophagocytic Lymphohististiocytosis, a condition which reduces the blood counts. She and has been admitted to the hospital several times over the last 2 years. 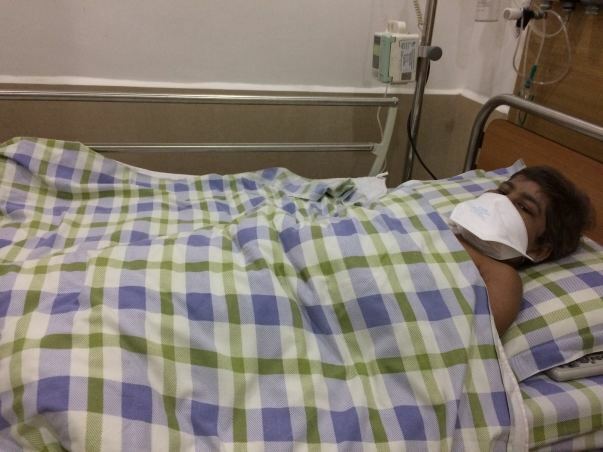 Lathika knows about her condition. "Will my hair grow back? she asks her mother often. She can't bear the pain and is often unconscious. "I don't know if I can save my daughter. We have just a few hours left to settle the bills and I don't know what I can do. If nothing happens we will end our lives". 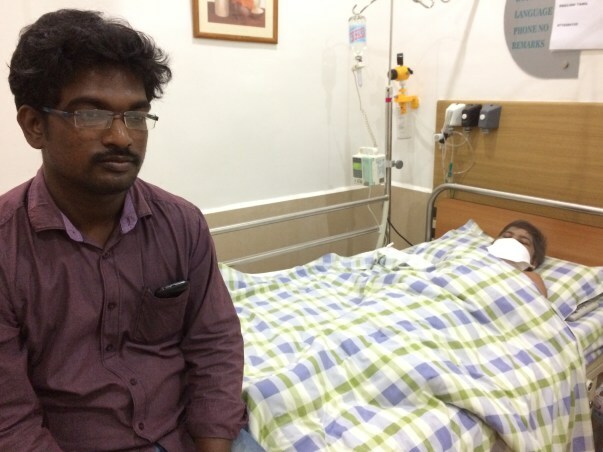 They have struggled a lot to get her admitted to the hospital and was helped by his employer initially but they are on the verge of losing Lathika. If they can settle the bills, she can continue the treatment which will make her stable. But if she is out of her treatment, her condition will deteriorate. 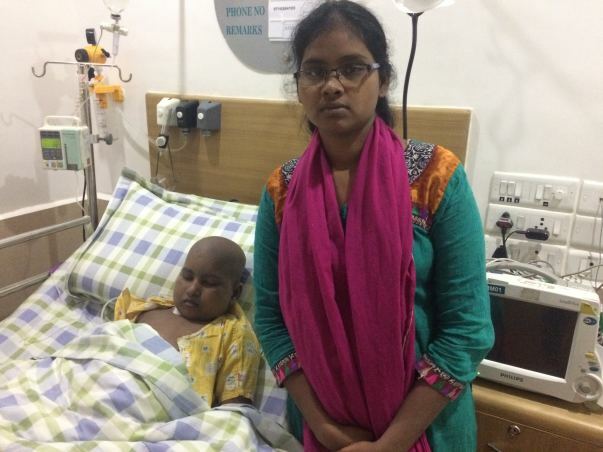 They need close to 7 lakhs immediately to settle the bills and proceed with the transplant.